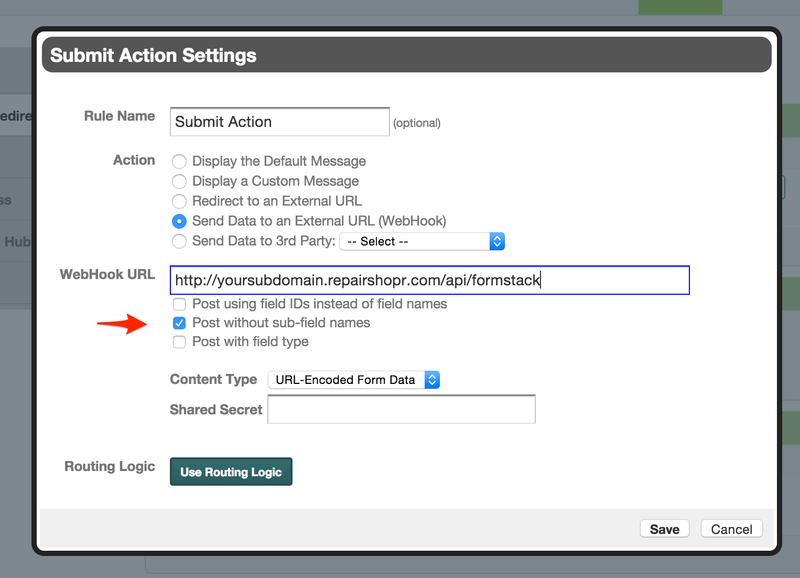 Formstack is a great tool for building really powerful web based forms for any purpose. Our integration handles receiving form results and parsing the data into your leads to reduce double data entry. In your form setting, there are actions that can happen when the form is submitted. You just need to add an action called a "webhook" that sends the results into your account with us. The fields will attempt to match up if you just use the right field names.